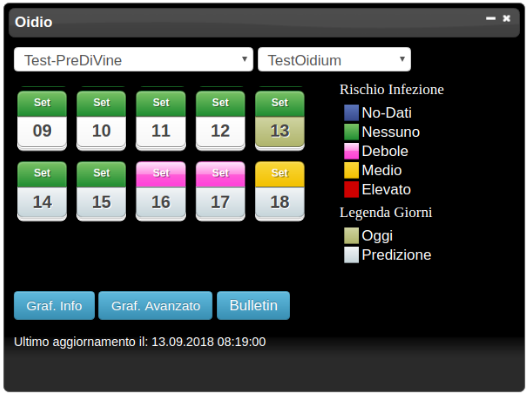 PreDiVine (Predicting Diseases of Vine) is a web Decision Support System based on wireless sensor networks, weather stations and prediction algorithms, able to monitor the vineyard micro-climate conditions with the goal to predict vineyards' pests and diseases. 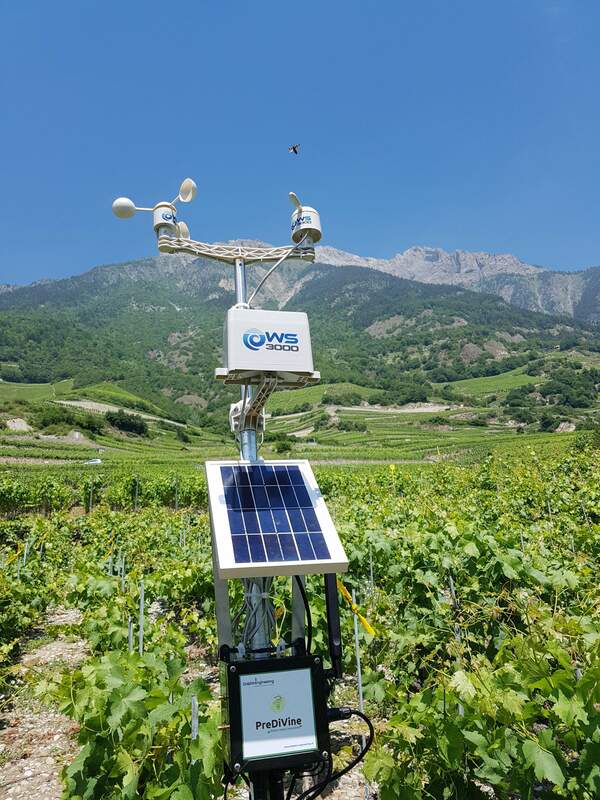 PreDiVine has been developed by Dolphin Engineering Sagl within the SMART VINEYARD project funded by the Swiss Innovation Agency. 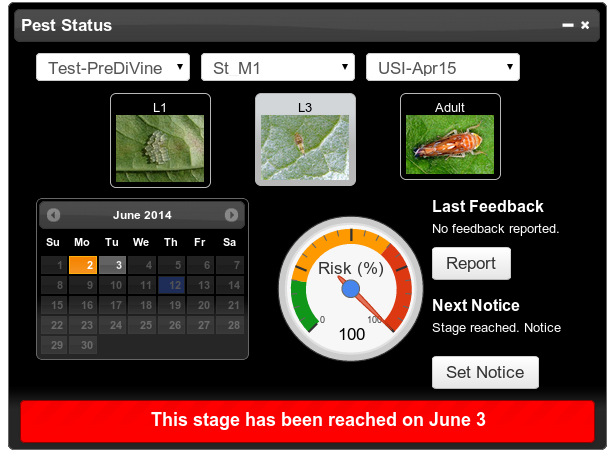 Predictions with at least 5 days in advance with different risk's estimations. 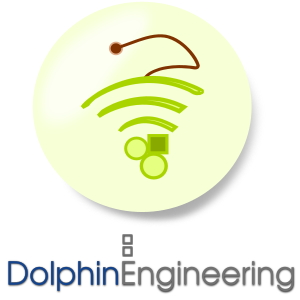 Predictions with at least 2 weeks in advance. 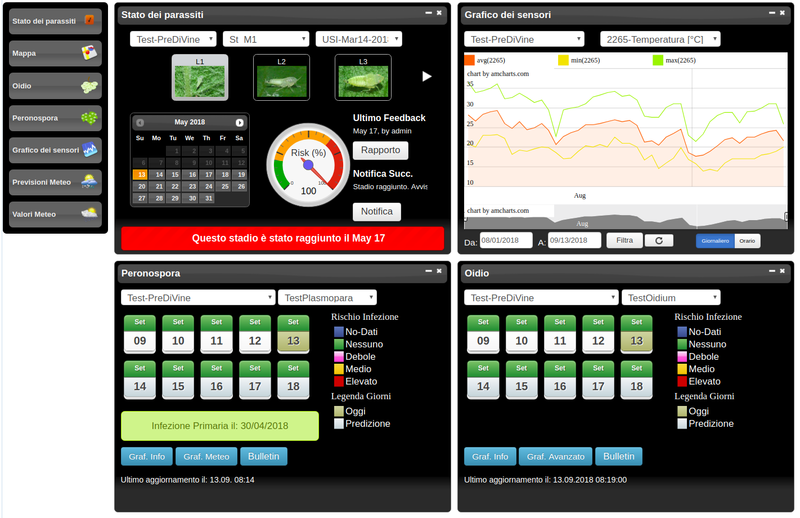 A fully customizable dashboard with several windows widgets showing diseases and pests predictions, sensor values, weather forecast and weather stations map.